The Eurotherm 3208 controller offers precision control of temperature and other process variables together with a host of advanced features not normally found in this class of controller. Other models are also available within this range. 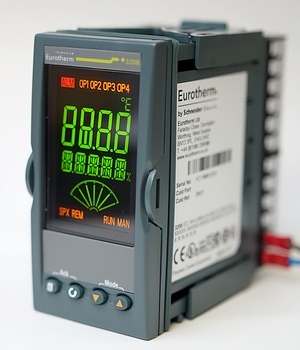 View more details of the Eurotherm 3208 - 1/8 DIN Temperature Controller range. Other models might not be available from stock, please contact us for price and lead time.